A beautifully presented charcuterie board can be a key ingredient to a successful and memorable social gathering. 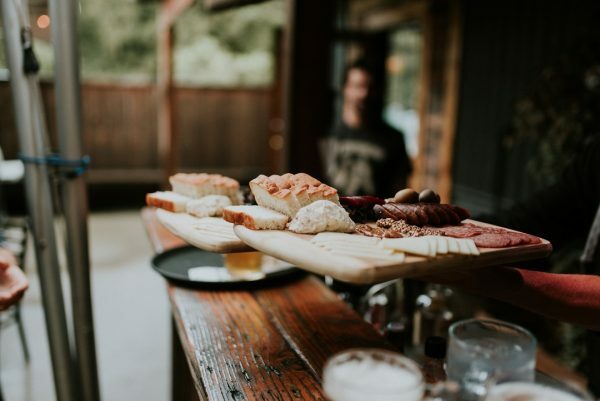 Because it’s prepared ahead of time, a charcuterie has a casual feel that lends itself well to socializing: the host can actually be involved in conversations instead of toiling away in the kitchen. Being a farming community, Chilliwack is a veritable smorgasbord of local, farm-fresh ingredients. We are very fortunate to be in the heart of many artisan cheese shops, produce markets, meat shops, and bakeries. 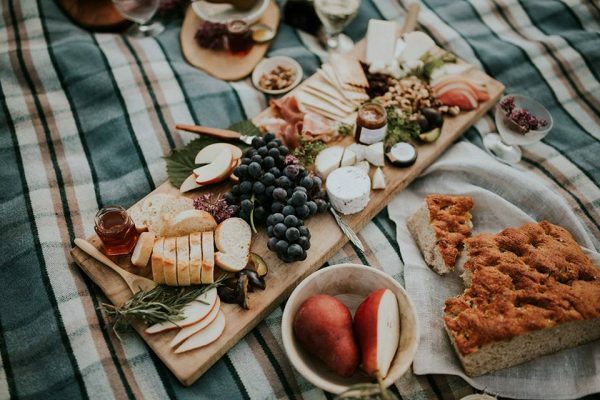 With all the options you’ll have to choose from, your charcuterie board will be fresh, delicious— and will look so eye-catching, you may end up seeing it in a few Instagram feeds! 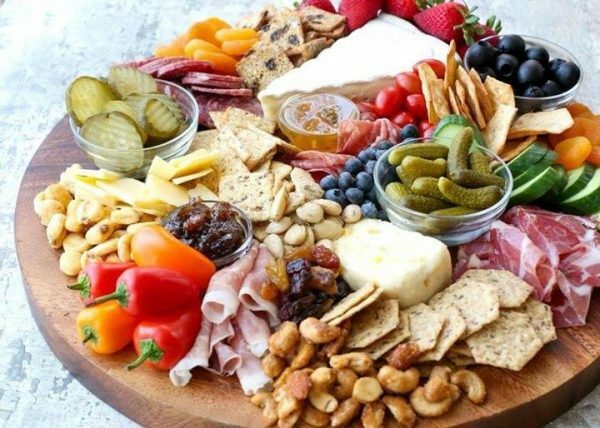 A charcuterie board can be used as an appetizer before a dinner party or can even be a meal in itself. You can make up a board for a special occasion just for two or put together a giant board (or boards) for a huge gathering. Putting a board together can be daunting, but we’re here to help! There are no strict rules for charcuterie boards, so let your creativity and imagination run wild. The key is presenting your items in a way pleasing to the eye and appetite. The word to remember is balance. Balance savoury tastes by including sweet flavours. Balance textures: a soft cheese with a crisp, grainy cracker. Distribute your ingredients on the board so the colours complement each other. You can even experiment with temperature: instead of everything being served cold, include a spread or soft cheese that you’ve heated up, or quick fry sliced sausage and serve it hot. Building the charcuterie board shouldn’t be a chore, it can be a fun way to experiment and see what flavours best enhance each other. Remember that simplicity is best. You don’t need to overwhelm your guests (and your budget) with too many choices. And where to get your ingredients? 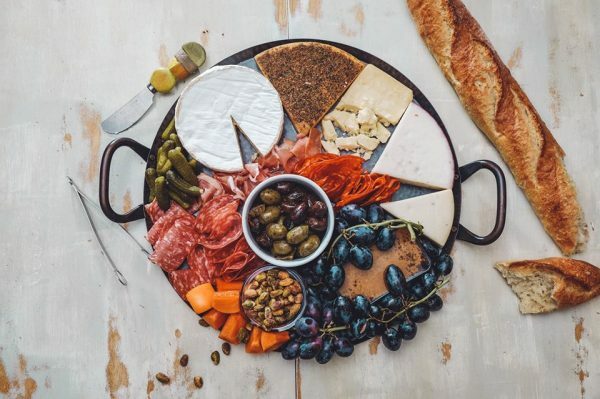 We’ve done all the legwork for you and compiled a list of where you can find everything you’d need to create an award-worthy charcuterie board. Best of all, everything can be found within a 25 km radius of Chilliwack. 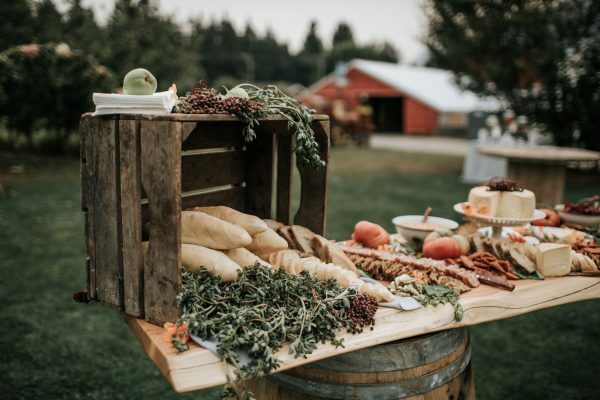 1) You’ll need a board on which to present your items: wooden cutting boards, trays, or butcher blocks are popular, as they make a charming, rustic backdrop for your presentation. 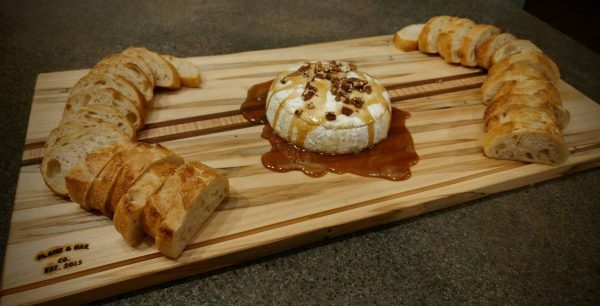 Marble or slate slabs, and glass or ceramic platters are all great ideas as well. If you want something unique and made to your specifications, you can usually find a local woodworker who will craft one for you. Or, if you’re handy, you can make a DIY version by buying a plank of wood from your nearest hardware or craft store, sanding it down and making it food safe by applying a mineral oil/beeswax coating to it. You don’t have to squeeze everything on one board, use multiple boards if you have a lot of items. 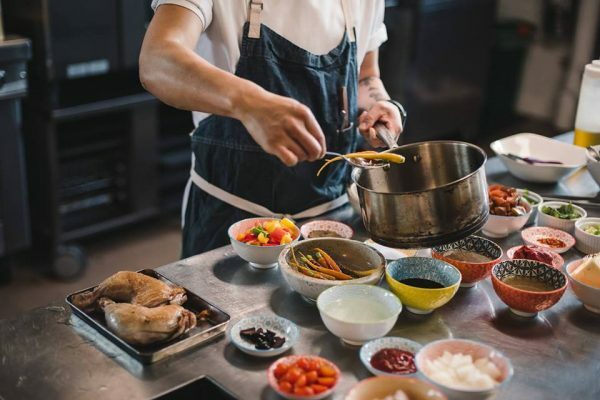 2) Next you’ll need to have some cutlery and small bowls or ramekins in which to put items like dipping sauces, mustards, olives, or jams/preserves. Small knives are great for spreading soft cheeses. Invest in a good quality cheese knife for slicing hard cheeses. Have some small spoons for sauces and preserves, and lots of little forks and toothpicks on hand – great for “stabbing and grabbing” an olive, pickle, or cubed piece of cheese. 3) Next, the fundamental ingredient and namesake of the Charcuterie Board: the meat! The modern definition of “charcuterie” is: a French word for smoked, dry-cured or cooked meats. If you want to use the “traditional” cuts of meats for charcuterie, this would include selections from three categories of meat. Choose one or two from each category: A. Whole Muscle Cuts: meats preserved whole, typically chewy in texture, so they should be sliced paper thin. B. Cured Sausages, which add a good contrast to the thin whole muscle cuts. They are sliced thicker and are more robust and filling. C. Forcemeats, a category that is smoother in texture, including pâté and rillettes. Remember that you don’t have to follow traditional rules; it’s fun to experiment with flavours. Go to your local meat shop and ask for recommendations. Some typical favourites are classics like Prosciutto, Capicola; Bresaola, Jamon; Chorizo; Pancetta; and Genoa Salami. If you want to up your game and impress your guests, check out your local farm market and get items like smoked duck breast, or a rich chicken liver pâté. With the abundant availability of fish in this area, you could even add pieces of smoked salmon. Again, balance: if you have a strong, spicy or salty meat, also have a more tender, and milder meat. 4) Cheese, wonderful cheese! 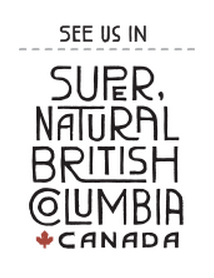 The number and variety of artisan cheese shops in the Fraser Valley is second to none! You’ll be sure to delight many palates with the variety of cheeses available. And we’re not just talking about cheese made from cow milk, you’ll find cheese made from goat milk, sheep milk and water buffalo milk too; and for that vegan in your life, the vegan cheese options are getting better all the time! When choosing your cheeses, consider texture and variety. Try a mix of cheeses from the categories of firm, soft, aged, and blue. Firm examples: Manchegon and Gruyère; Soft examples: Camembert and Feta; Aged examples: Cheddar and Gouda; Blue examples: Roquefort and Stilton. It is a good idea for one of the cheeses to be a variety that’s familiar to most people (i.e. good old cheddar!). Include a vegan cheese for those on a plant-based diet. Put stylish little tags next to each meat and cheese grouping, with the item’s name and a word or two describing taste. Your guests will appreciate it and you’ll be happy not to be asked “what kind of cheese/meat is this?” over and over! 5) Bakery items: Breads and crackers aren’t meant to be the star of the show, rather they are the carrier on which to load your goodies and get them into your mouth! A sliced fresh baguette or sourdough loaf are tasty choices, as are breadsticks and a variety of crackers. For the crackers, focus on texture, and don’t get any crackers that are too heavily flavoured; this would compete with the taste of the meats and cheeses. Although there are endless varieties of crackers, keep it simple. A nice rice cracker, pita cracker, whole wheat cracker or crostini are ideal, and it’s a smart idea to ensure you have at least one or two gluten-free bread and cracker varieties. *With the increasing popularity of the plant-based diet, more vegan friendly choices are becoming available all the time! It’s highly recommended (and appreciated by guests) to be accommodating of everyone, so instead of having just a few vegan choices, you could make an entirely separate vegan-friendly board. (But that could be a topic for a whole other blog). At the very least, if you have a good variety of fruit and veggies, along with hummus, and vegan cheese and crackers, you’ll be able to fill the tummies of your vegan friends too. 7) This is the fun step, ARRANGEMENT! Pour yourself a glass of wine, turn on some tunes and start arranging your items on your board(s) in the most appealing and appetizing way! Look online at some Pinterest pictures if you need inspiration, but make it your own work of art! A good way to get started is to fill your ramekins/bowls and distribute them around the board, then build around that. You can roll up or fold your meat slices, or keep them flat and fan them out. Cut hard cheeses into cubes or slices. Leave soft cheeses whole and put a cheese knife next to them. Put a brightly coloured item next to a muted color. If you have an awkward empty space, scatter a small pile of nuts or berries there. Add basil leaves and rosemary for a nice green pop of color. Be creative! Impress your friends and leave them wanting to host the next gathering to see if they can “out-charcuterie” you! 8) One more consideration: beverages to enjoy with charcuterie! The classic is wine: what goes better with a charcuterie board than a delicious glass (or two) of wine? Because your charcuterie board will have a range of flavours, there is no one variety that is the best to serve. But if we had to choose a good all-around versatile wine for charcuterie, it would be something light to medium in body, like a Pinot Noir, Beaujolais, or Rosé. They are acidic enough to cut through fatty flavours, but still have silky tannins. There are different methods for choosing a wine: you can base it on how the wine contrasts with the tastes of the charcuterie, or you can choose by pairing like flavours: a bold red pairs great with an Italian spiced, smoky meat. Your best bet is to experiment and have a few varieties on hand. For those guests who don’t consume alcohol, a delicious cold-pressed juice is incredibly refreshing on the palate. It’s a perfect choice if you’ve consumed an overabundance of salty or fatty flavours! If you’re looking for a unique charcuterie board, we found a great woodworking studio right in Chilliwack. Check out The Plane & Nail Co. at #100, 45896 Alexander Ave. 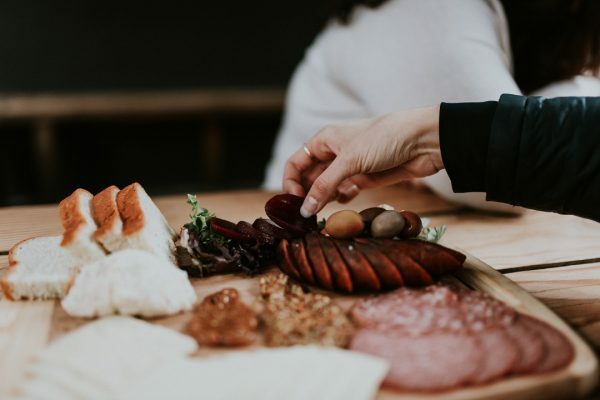 They craft stylish wooden charcuterie and cutting boards, handmade from Canadian hardwoods; and you can even get one custom made in your choice of size, design, and material. There’s a massive selection of charcuterie boards in-store at Yes Chef, 2619 Montrose Ave. Abbotsford. Formerly known as Cobblestone Kitchenware, this spacious and elegant store is well-stocked with every variety of kitchenware you could possibly need. One stop-shopping for all your charcuterie needs! Fresh, locally sourced produce, a huge selection of grocery items (including a section of specialty imported items), fresh baked goods, and a deli focused on providing the freshest meats with reduced amounts of preservatives and nitrates. They have one deli slicer dedicated to gluten free products so there is no cross-contamination. Since 1969, Fraser Valley Meats has been a staple in Chilliwack. They hand-make a variety of delectable gourmet sausages in-house. The deli section offers a wide variety of delicious cured meat. And they are more than just meat: they carry a selection of artisan cheese, and have a gourmet section with all the tasty extras such as olives, preserves, and crackers. Everything and anything you need for your charcuterie board can be found here! 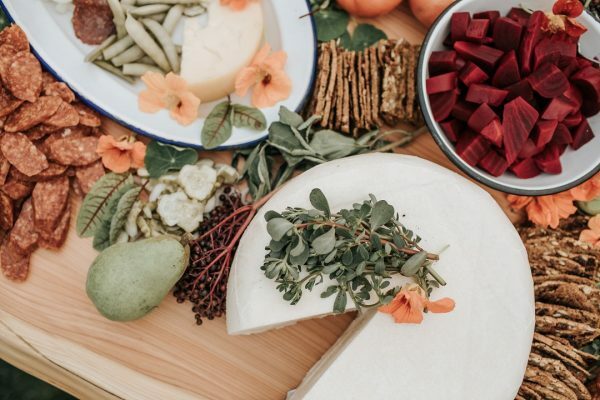 This family-owned and operated market follows the farm-to-table philosophy, offering locally sourced fresh meat, cheese, fruits, veggies, bakery items, and a big selection of gourmet specialties like spreads, jams, and pickles. A fifth-generation family farm, FVSP been a landmark in Chilliwack since the 1970s. They specialize in poultry, so you’ll find items like delicious duck sausage and smoked duck breast. They also have a farm store at the same site that carries artisanal cheese, fresh baked items, gourmet snacks, jams, olives, and so much more! Note: you can also find their products at Lepp Farm Market. 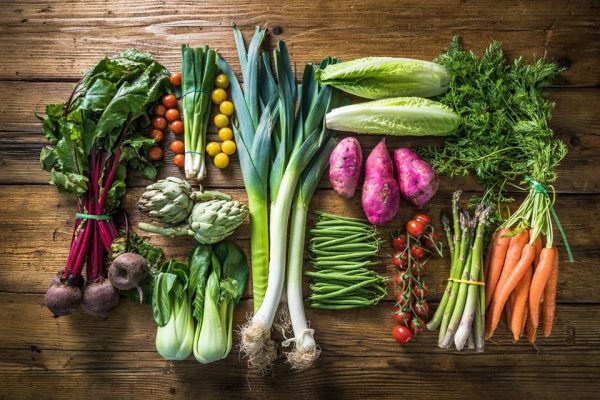 Featuring locally grown, farm fresh produce, the majority of which is grown organically on their 38-acre farm; this is a perfect source for seasonal fruits and vegetables. 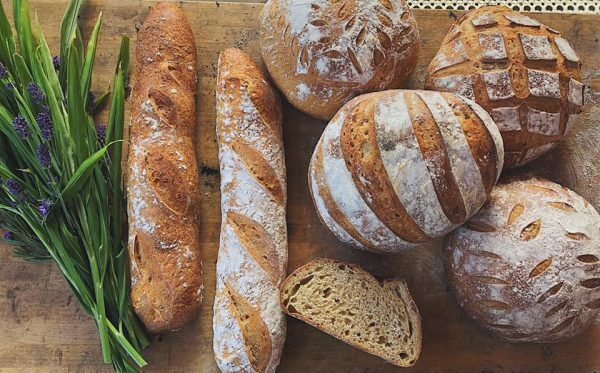 Their market bakery also sells warm-out-of-the-oven breads made with organic ingredients. You’ll find local favourite Anita’s Organic Mill products. They also carry cheese from The Farm House Natural Cheese, Mt. Lehman Cheese, Smits and Co.w Gouda, and vegan cheeses such as Black Sheep Vegan Cheese (which is also Gluten and Soy Free). Enjoy the vegan varieties “Herbed Vozzarella, Smoked Vouda, Jalapeño Veddar, Vrie, and Cashew Hard Varm”. 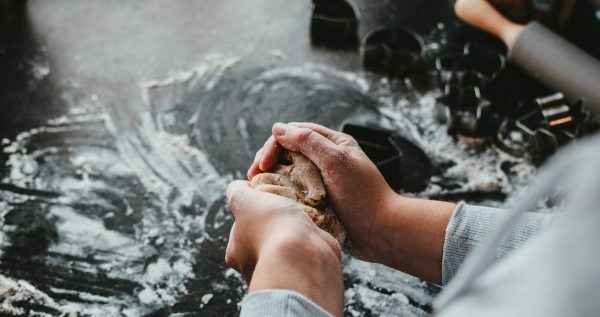 Anita’s is well known for their flours, cereals, and mixes, using traditional methods to mill fresh, organic grains on-site. They also carry a delicious selection of dried fruit. 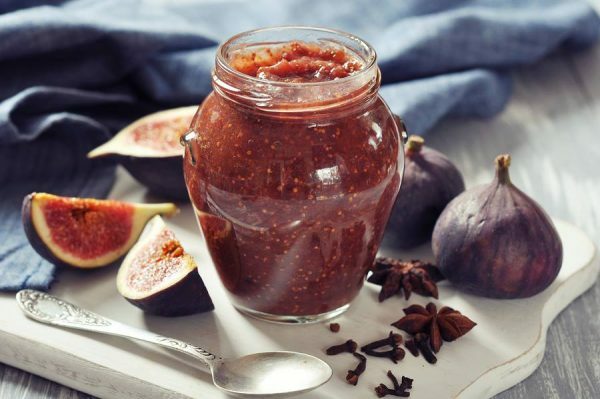 This is a great source for dried apricots, dates, figs, cranberries, as well as hazelnuts and other nuts. Their retail farm store is located in the aforementioned Local Harvest Market. Using milk from their own herd of Holstein and Brown Swiss cows, Smits and Co.w produces an excellent Gouda-style cheese. They also make Goat Gouda using milk from a local goat herd. Their selection of cheeses includes mild, medium and aged plain as well as flavours such as cracked black pepper, onion & garlic, pesto, tzatziki, pumpkin seed nutmeg, chilli pepper, Italian, Greek spiced and much more. Mt. Lehman produces high-quality handcrafted cheese using the freshest milk from local farms, with as few other ingredients as possible. They specialize in goat and water buffalo cheese. Their cheese room is located at Goats Pride Dairy in Abbotsford. When visiting the shop make sure to try their aged Blue Capri (blue cheese), Feta and the popular ‘Frisky’ Brined Goat Cheese. 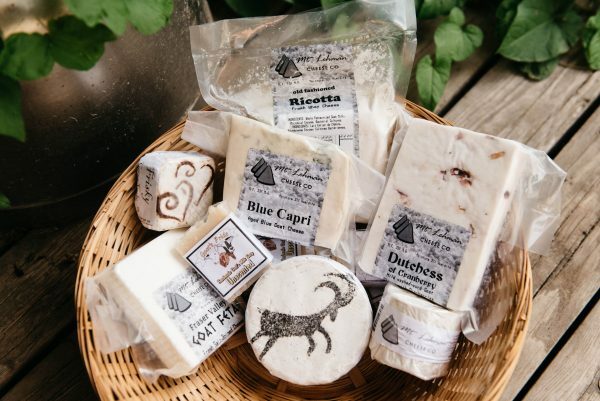 You’ll find artisan cheeses, hand-made using the fresh whole milk of the farm’s own dairy cows and goats. 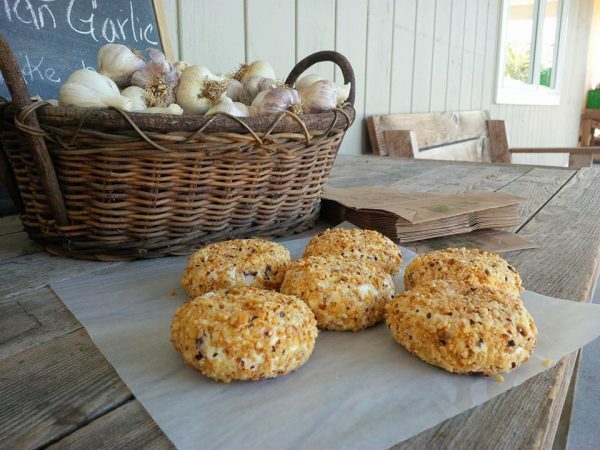 Their enticing Farm House Fresh Cheese Truffles would be an amazing addition to a charcuterie. They also carry a selection of locally sourced goodies like jams, sauces, gluten-free crackers and honey. Pollyfox specializes in goods that cater to Celiacs, as well as those with peanut and soy allergies. This is your go-to for 100% gluten and allergen-free baked goods, and many vegan items too! Find charcuterie items like gluten free baguettes, crackers, mini-scones and best of all -cookies! 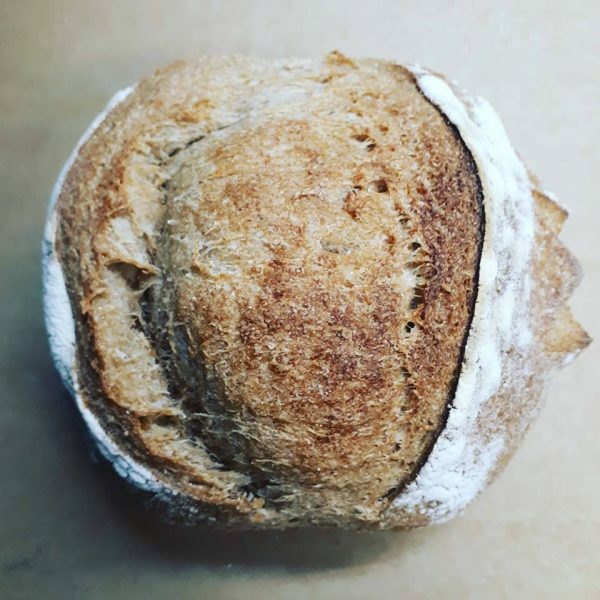 Magpie’s carries an amazing variety of authentic sourdough, yeasted breads and pastries. Their sourdough comes in varieties such as Marble Multigrain, White, Whole Wheat, Rye, and Spelt. They also bake specialty varieties such as Old Yale Stout, Toasted Sesame, and Carrot Herb. Check their baking schedule on line to know when to get your favourites. 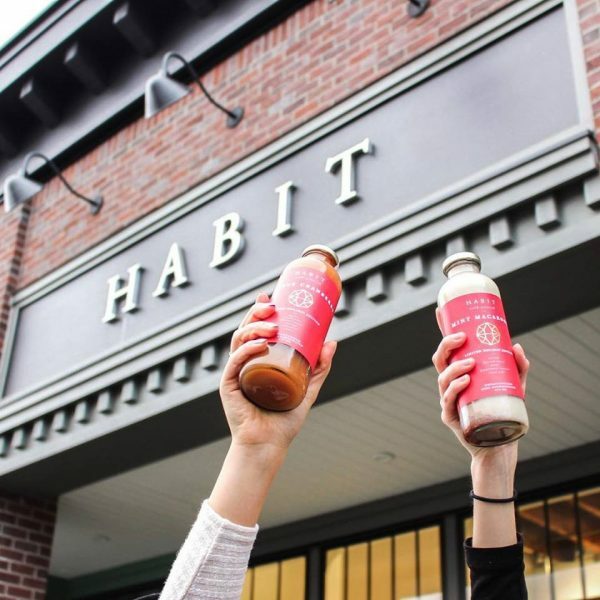 The Habit Project’s name stems from their desire to create healthy habits that benefit everyday lives. Using ingredients sourced from local farms, they craft a selection of healthy drinks, including a delicious variety of cold-pressed juices and their own nutritious “Nut Mylks”. By cold-pressing the fruits and veggies, all the vitamins, minerals, and antioxidants stay in the juice. Also try their Beet Hummus (made with The Local Harvest Beets). 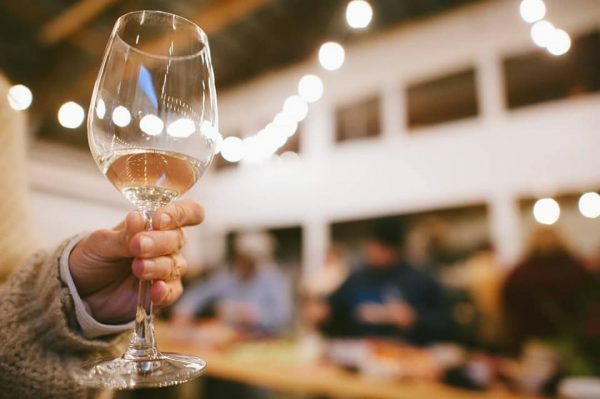 A local favourite, family owned and operated Whispering Horse is a boutique winery that produces quality wines using their own estate-grown grapes (on 6,000 vines!). Using traditional methods, they produce delicious sparkling wines as well as aromatic whites and rosés. Their ‘future-release’ line ranges from Brut Nature (bone dry) to Doux (sweet) in white, rosé, and red. Every aspect of the wine making is run solely by the family, ensuring the highest standards in hand-crafted wine. Their wines can be found at a variety of liquor merchants and restaurants in the Fraser Valley. Whispering Horse Winery has a fascinating story that was recently featured in our “Meet the Maker” series. If you want any additional information on these businesses or other local attractions, visit our website here.